Araxxe has just released a whitepaper that will help you understand the new evolutions in Interconnect Fraud! Our latest whitepaper will help you understanding these new evolutions in Interconnect Fraud! Download it here and if you have any questions related to it or to any of our Fraud Detection or Revenue Assurance services, please don't hesitate to contact us. We will be glad to help! Tim Haentjens will attend the upcoming GSMA Fraud & Security Group (FASG #7) in Rome, Italy from the 24th to the 26th of January 2017. Feel free to contact him by email if you want to schedule a meeting in advance (tim.haentjens@araxxe.com). 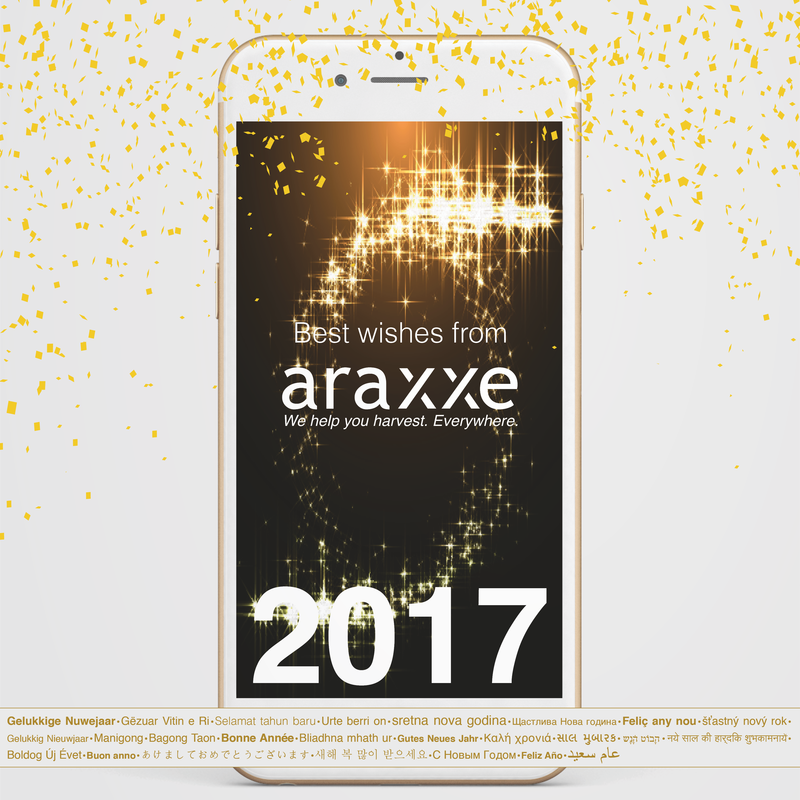 Araxxe wishes you a Happy Holiday Season and all the best for you and your business in 2017! Araxxe will be pleased to attend the next Revenue Assurance, Fraud, InfoSecurity & Risk Management forum in Moscow, Russia on the 16th of November 2016. Lilian Chisalita will be on site so feel free to contact him by email in advance to schedule a meeting (lilian.chisalita@araxxe.com). Mobile Termination Rates Arbitrage: does it happen on your network? In the European Union, the mobile network operators are now allowed to apply higher termination rates to non-EU incoming traffic. Where there are differential termination rates, there is a high risk of Mobile Termination Rate (MTR) Arbitrage that may impact your network. International SIM Boxes: Thanks to SIM Boxes using SIM cards of European operators, the fraudsters transform international calls originating outside EU into international calls originating from Europe. Domestic SIM Boxes: Thanks to SIM Boxes using SIM cards of domestic mobile / fixed operators, the fraudsters transform international calls originating outside EU into domestic calls. In all cases, there is a financial impact for the terminating operator as the termination fees collected are lower than expected. How Araxxe can help you? Araxxe can provide you with a detailed snapshot of how the traffic originating from the countries 'at risk' enter your network. We generate detection calls from a selection of international operators in the 'at risk' countries towards your network: we focus on the countries / operators having to pay the higher termination rates. 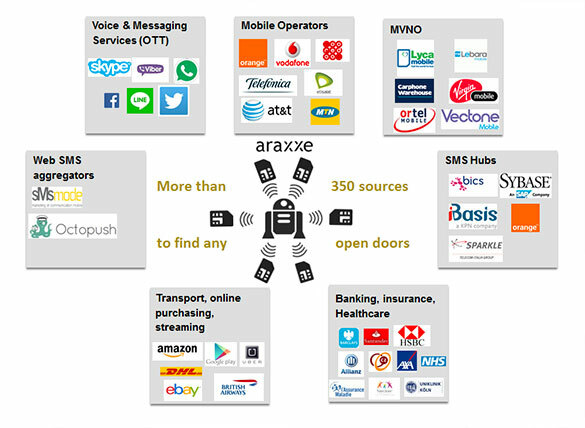 You benefit from Araxxe routes portfolio covering 2,800+ telecom routes in 160+ countries. We operate -on your behalf- flexible test campaigns delivered in an industrialized way. You leverage Araxxe unique expertise in both test campaign design and interconnect fraud detection. 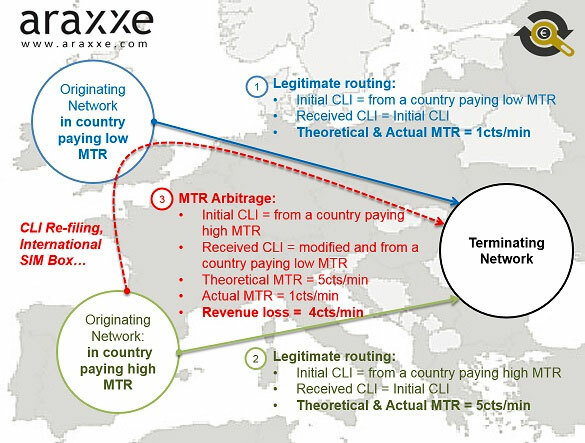 We deliver factual data about MTR Arbitrage occurring on your network. Our actionable reports enable you to take corrective actions stopping the fraudulent routing towards your network. Do you know how to defeat A2P & P2P SMS abuse? Traditional messaging services from operators have a long time been viewed as under threat from OTT offerings However, in terms of revenues, SMS still continues to dominate the market, with MNOs benefiting from growth in the A2P (application to person) sector. As a result, this is a business fraudsters did not wait too long to exploit: SMS fraud is now affecting operators in all regions around the globe. They have to address the loss of revenue arising from the presence of 'grey' route messaging in the global application-to-person (A2P) SMS marketplace. Araxxe's services can help you maximize SMS termination revenues! Roaming and Interconnect Managers, let's talk! SMS Wholesale Fraud : You need to counter SMS Fraud quickly? Challenge: SMS fraud schemes impact termination revenues, so do you have SMS fraud under control given the countless routes fraudsters can use to bypass SMS termination fees? Solution: We identify which type of fraud is occurring on your network and help you eliminate it: be it SIM Box SMS (on-net, off-net), SMSC Global Title Faking, Subscriber Spoofing, Fraudulent Circumventions (via 3rd party MNO / Aggregator / Hub) or SMSC Hacking. SMS Wholesale Revenue Assurance: You need profitable interworking contracts? Challenge: Do you know if the interworking contracts you have in place are “really” profitable? Solution: When we identify fraudulent routes we guide you with our expertise and insight in asking you the right questions, for example: 1) if you have an agreement in place (AA19), does your roaming partner comply? 2) When no agreement is in place, is there any abuse of the non-contracted routes? 3) What about SMS Hubs and aggregators, do they route all incoming traffic, and is it properly billed? We know what we are talking about: for tracking SMS fraud, we have more than 350 routes especially dedicated to find any open doors. Our managed services produce factual data and actionable reports about SMS fraud cases occurring on the operator network and impacting SMS termination revenues. Our team focuses on executing the tests and your Fraud & Revenue Assurance team focuses on requirements, results analysis, and corrective actions! We generate a sample of incoming SMS (P2P and A2P) and check whether the SMS are properly billed. We challenge the filtering rules and find new 'open doors' to the operator network. We give you evidence how a specific SMS origination routes SMS traffic to the operator network (end-to-end monitoring). We provide material proofs of traffic derivation to support negotiations with partners. We provide material proofs of contract abuse to support legal actions (e.g. traffic reselling) and detect 'SIM Box SMS' fraud (on-net). In our international call campaign, we generated thousands of SMS from underground routes to the Operators network. Each time an unexpected Global Title or a weird Sender Id was detected, we raised a case with the routing experts of the fraud and the wholesale team. What are the business results? After 12 months of monitoring the share of correctly billed SMS has increased from 48% of the received SMS to 91%. The program brought 3.5 Million Euros per year of extra SMS Termination revenues! Use Araxxe's international expertise for Billing Verification, we will save you time and money! Why billing verification is key to insure profitable business activities? A changing environment makes Revenue Assurance a key investment for operators: profitability is under pressure; new competition from non-telco companies is putting a burden on margins (OTT). Call Sample Verification: are you really checking everything along the chain? with Araxxe, it is from the real switch to the real bill! Araxxe can help finding billing errors hidden in the 3-5% error tolerance applied in the systems based on full traffic processing. We propose a zero-error tolerance because we perform 'transaction per transaction' checks and we do not use any aggregated data. Call Sample Verification from Araxxe + Full Traffic Processing = Optimized Revenue Assurance! Most of the operators today have implemented Revenue Assurance software solutions based on the processing the full traffic. These solutions are usually called “Switch-to-Bill”. 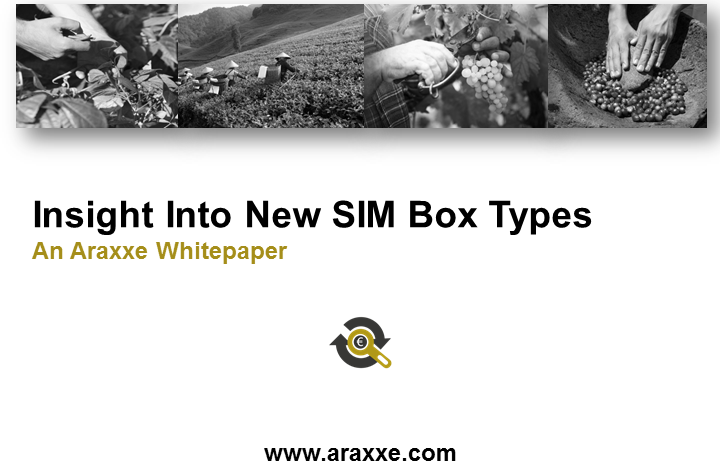 Araxxe monitoring service, which is based on call sample verification, does not compete with these software solutions. Both solutions are complimentary. So why choosing to outsource billing verification services to Araxxe? We own 250 robots spread throughout 160 countries. This allows us to build scripts at national and international level and to test roaming plans. Broad resources? We give you access to 1,750 test numbers and we play with a million Code lines. Our worldwide coverage for billing tests is unique: we generate advanced test scripts to plenty different numbers and check the billing to countless of destination countries and roaming countries. All in solution, flexible scope? Any revenue stream can be monitored: Postpaid billing, Prepaid charging, Data services, Outbound Roaming, Prepaid top up, Premium Rate Services, Interactive TV services. We find under-billing or over-billing, missing records, duplicate records, ghost charges, duration metering and rounding, volume metering and rounding, usage prices, bundles capacity... In addition, we are flexible with the monitoring scope. If you want to launch 4G, test new roaming tariff plans imposed by your regulator... We will just swap capacity and change the monitoring scope in just a few days! A managed service like the one from Araxxe allows you to concentrate on analyzing the results, less time spent on in house projects, maintenance, integration...Our billing experts have the helicopter view and use their share of international expertise to fit your needs.